Burglar is a 1987 American comedy film directed by Hugh Wilson and distributed by Warner Bros. 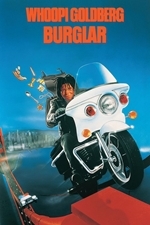 The film stars Whoopi Goldberg and Bobcat Goldthwait. Bernice "Bernie" Rhodenbarr, a former burglar, resumes her life of crime when a corrupt police officer named Ray Kirschman blackmails her. 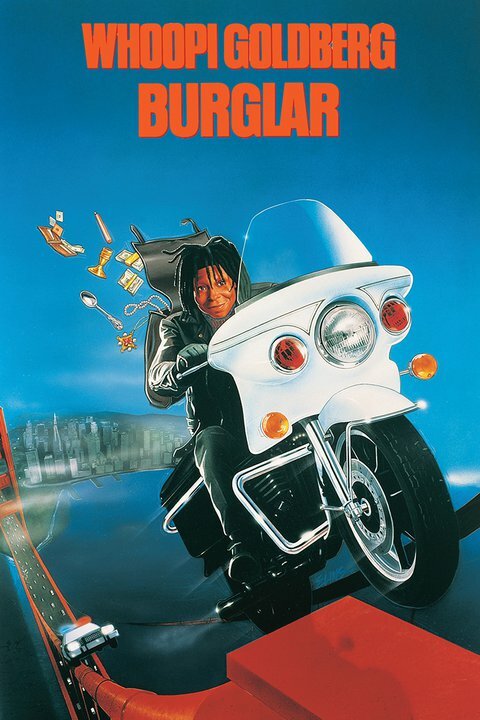 In a 2013 interview with Kevin Smith, screenwriter Jeph Loeb disclosed that Burglar was initially intended to be a serious vehicle for Bruce Willis with Whoopi Goldberg filling the role of the character's neighbor. When Willis dropped out, Goldberg took on the lead role.